Description: Joining Vic on this week's show is Janet and David from "HARBOUR LIFE", a Health Plug-In Holistic Supplements & SPA now open in Wasaga Beach. We learn about what makes a Pharmacist of over 30 years walk away from dispensing meds because he can not do it anymore with a clear conscience and about the great services provided at this new business in The Beach. Victor is "Vocal for Local Business" on BEACH BUSINESS SPEAKS! 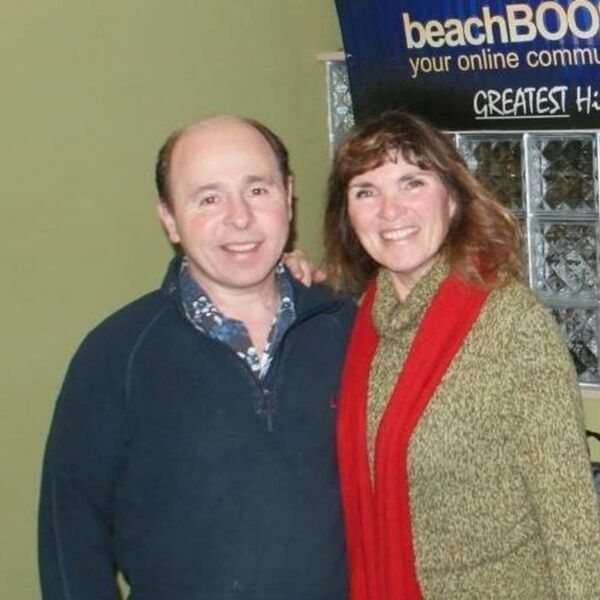 BEACH BUSINESS SPEAKS from Beach BOOSTER Radio, Wasaga Beach's truly local radio. Please enjoy and SHARE our great local programming. Beach BOOSTER Photo: David & Janet in the studio. Joining Vic on this week's show is Janet and David from "HARBOUR LIFE", a Health Plug-In Holistic Supplements & SPA now open in Wasaga Beach. We learn about what makes a Pharmacist of over 30 years walk away from dispensing meds because he can not do it anymore with a clear conscience and about the great services provided at this new business in The Beach. Victor is "Vocal for Local Business" on BEACH BUSINESS SPEAKS! BEACH BUSINESS SPEAKS from Beach BOOSTER Radio, Wasaga Beach's truly local radio. Please enjoy and SHARE our great local programming. Beach BOOSTER Photo: David & Janet in the studio.